Real-Time Strategy Streamlined & Enhanced User Interface (RTSSE UI) is a set of Lua scripts for the open-source Spring SDK which gives players an enhanced production queue that adds units to groups as they are produced. RTSSE UI was developed using the open-source game: Conflict Terra for content, but should work with other Spring SDK games. RTSSE UI also adds movable, resizable windows and a combined production progress window. RTSSE UI was developed for the UCSC Computer Engineering class: Human-Computer Interaction by Bryan Blackford, Andrew Gee, Tarin Smith, and Adrien Young. We used formal engineering techniques, including: wireframes, storyboards, user-driven design, personas, and user testing. The enhanced production group window at the bottom right has buttons for selecting the group factories (1,2,3) with a combined unit production menu (middle window), and buttons for adding, removing, and clearing factories from groups (+,-,c). 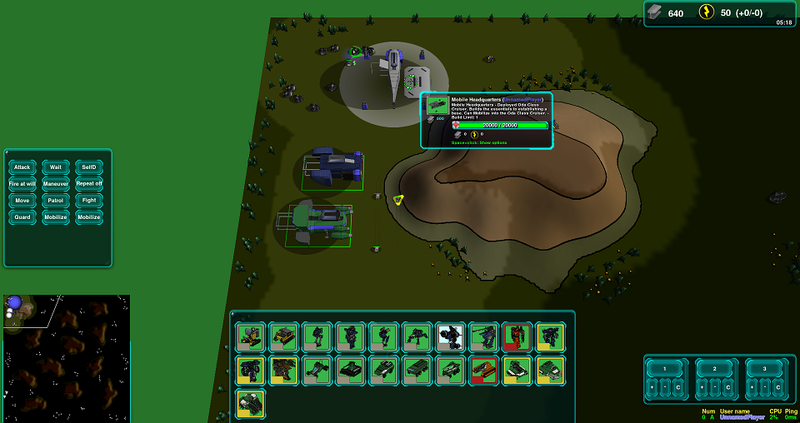 Units produced by factories are added to the same unit group (keyboard hotkey 1-3).